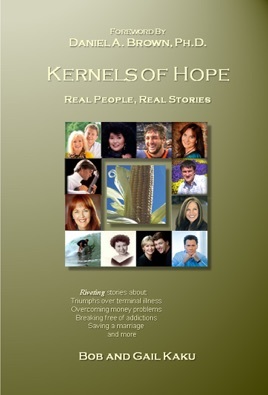 Kernels of Hope: Real People, Real Stories are heart-warming stories told by people who faced difficult situations, challenges, impossible circumstances, or life-changing decisions and ultimately triumphed in victory and hope. 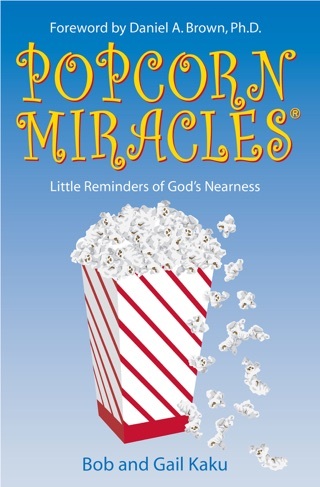 Sample stories include: 1) an account of Tim Tebow’s success both as a football player and as a genuine person of generosity, faith, and humility; 2) a Hiroshima A-bomb survivor; 3) A successful businesswoman loses her entire life savings in the stock market, then loses her job and home, and to top it off, faces a huge tax bill; 4) a former Kamikaze pilot’s story; and many others. Want to get jump on hope? Read these stories.